April 8: 5 POWER Lessons From 5 Leaders Who Made History On This DAY! Jems in the jewellery add extra beauty to the ornament. In the same way, the lessons and thoughts of the achievers also enable us to light our path to hunt the treasure of success. Make use of these 5 empowering facts said by the lives of 5 powerful leaders to achieve what you want to. We as humans, generally expect a lot. It is indeed a very common quality. But, we hardly take a step towards realizing what we expect. It is very important to understand that there is nothing wrong in expecting, but it is our responsibility to work hard in order to meet all our expectations. Otherwise, our life would become meaningless. Above all, don’t forget that we are here to achieve, make a difference and lead the world. Dreaming and visualization fills your heart with confidence but overlooking may hinder you from getting what you desire. However, hoping for the best is what is essentially important. Gladys Louise Smith was given young girl roles, even when she was an adult. Isn’t this proves the statement, ‘though we have enough of all what we want, making it a decision to dedicate your senses to focus on achieving all your dreams is what keeps you going.’ Making this the principle of her life, she served the world of film, her entire life. 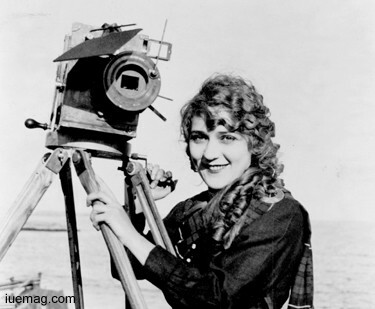 Bearing an onscreen name called, Mary Pickford, she served as a writer, director, and producer. One of the 36 founders of the Academy of Motion Picture Arts and Sciences co-founded United Artists, film studio. She didn’t just do big but thought big and this landed her on the floor of cinema and allowed her to achieve all that she wanted to. Now is the time to stop the “I don’t know attitude.” No one is born on this earth with all the wisdom and knowledge filled brain. We program our mind with the earlier mentioned twins during the course of our stay on this beautiful planet. Agreeing the fact of knowing things, is alone not sufficient. Alongside, we must develop a mindset which always says “let’s learn what it is all about.” The attitude of being negligent shall negligibly create a positive impact in your life. Beyond the sense of intellectuality, hunger to learn more is what makes you an active traveler journeying towards success. Michele Mercati relied on these twins completely and the result of this attitude of his is that he is staying alive even today through his unwavering contributions and constant learning attitude. Death is for the body and not for the soul! He fed his soul continually with the spirit to learn. He implemented a skill called application of the learnings. His inbuilt nature of confidence and common sense valued not just his personality and his contributions but also the path that he left for all of us to follow. The physician was one of the first scholars to figure out that the prehistoric stone tools were human-made and weren’t evolved naturally. 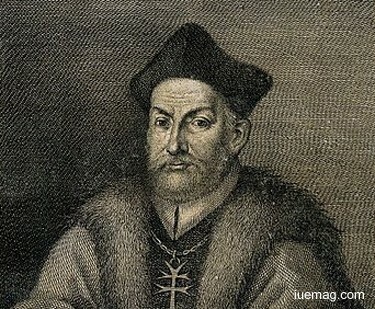 The superintendent of the Vatican Botanical Garden was interested in natural history, mineralogy, palaeontology, medicine, and botany, and wrote a book called the Metallotheca,. We keep hearing the phrase called ‘an influential achiever.’ Have you ever dug in deep to understand what exactly this phrase means? It means that your actions and footsteps doesn’t just take you to success but also showers a path for others around you to reach where they want to. The term influence, is a spell that you would cast on the minds of all by immersing them in hope which in turn creates a cradle to hold their success stories. Making attempts to bring out the embedded knowledge and skills forms the most important formula to succeed. Sir John Richard Hicks inscribed his life and journey by the desire to bring the world into the path that helps it to achieve what has to be. He coined meaning to the statement, ‘there is no point in just one succeeding when the world has not even entered the race.’ Hence, he provoked the world positively with all his magical spells called milestones and achievements. He used them as stimulants to capture the world’s attention and direct it to the path of the achiever. The British economist and Nobel Laureate used his extraordinary talent to think to become one of the prolific contributor to the field of economic science. His analysis and theories widely esteemed the aspiration of the society to achieve what they want to. He was also awarded the honorable Noble Prize for his unparalleled effort to revive economics. It is very important to introduce a fact to you all. Achievers never work for awards or rewards, name or fame, appreciations and recognition. It all comes into their way as a surprise gift by nature for the kind and quality of work they have radiated all through the process of working hard. Not every time would you get what you want and but a gift for your victory shall be certainly bestowed upon you. Along with the intention to win, you must actually focus on uncovering your unparalleled potent abilities, skills, knowledge, aspiration and the desire for deserving your desires. 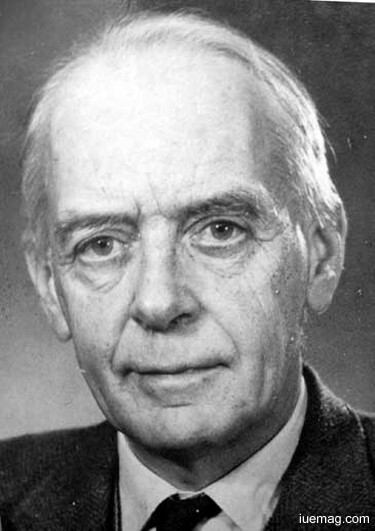 Focusing on the same, Melvin Ellis Calvin was an American biochemist who was known for discovering the Calvin cycle. He never worked to win an award but did to show the world, his capabilities. Since the nature awarded him a reward, he received the Nobel Prize. 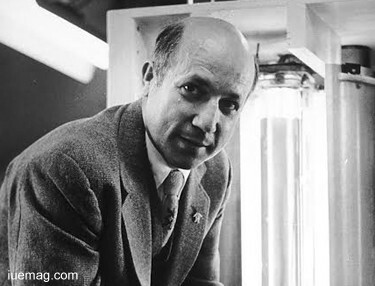 Starting as a teacher, he eventually marked a start to his scientific journey by a thesis on the electron affinity of halogens. His unfading hunger to learn and interest in studying more enabled him to swim across the gigantic waves of challenges which he encountered during the course of his works and discoveries. He never took long to transform his interest into passion. He promoted his interest by expecting his knowledge into other areas of science. Hence his laboratory would shelter learners from various domains of science. There are two kinds of paths: first one is the road that is less travelled road. It may have a lot of humps, stones and may not be smooth for you to travel. But it is sure to take you to your destination. The second is the road which is attractive, clean and smooth which results an effortless journey. But there is no assurance that it will take you to your destination. Which path would you chose? The answer to this must be a consequence of a very deep and detailed introspection. Analyze yourself as to what you want: a smooth and comfortable journey or reaching your destiny. This decides what you live for. Winifred Asprey preferred the first path. She overcame all the hurdles, stood firm to all the thorns which pricked her and exhibited her strength and courage in facing all that the path had put forth. The American mathematician and computer scientist, a daring lady was one among the very few- 200 women, to earn PhDs in mathematics from American universities during a period of women's underrepresentation. She expanded her horizon and started finding ways which would designate growth. 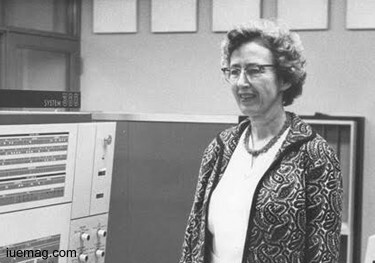 Therefore, she established the first computer science lab. Asprey never hesitated to leave her family and place to pursue her higher studies. She was clear about what she was doing and what she had to. Believing that thinking beyond what was believed would fetch abundance prosperity, she created the first Computer Science Department at Vassar and secured funds for the college's first computer. The ultimate buzzword in all our minds after reading this article is ‘achievement.’ As the unlimited inspiration has reached you through the words of this article, we believe that nothing can stop you from achieving! Any facts, figures or references stated here are made by the author & don't reflect the endorsement of iU at all times unless otherwise drafted by official staff at iU. This article was first published here on 8th April 2017.